Come along with us for my recent book tour. 10 cities, lots of friendly faces, oodles of miles, lots of keto things. 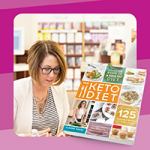 Kevin and I have just completed The Keto Diet Book Tour, celebrating the launch of my paperback book. 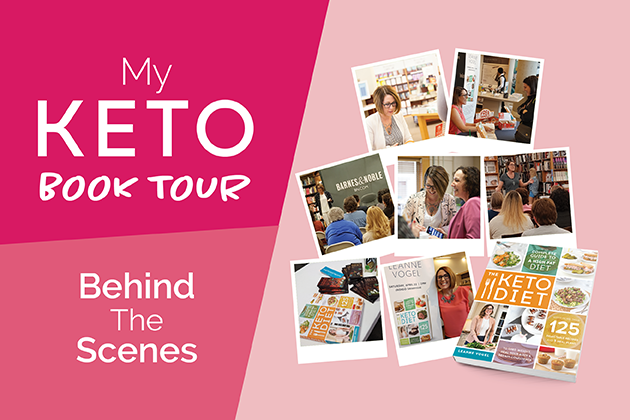 Thanks to everyone who came out to support the book, meet us in real life, and chat about all things keto, carb-ups, therapeutic ketogenic diets, body acceptance, and more. If you weren’t able to come on the tour, no worries! We captured it all in today’s video, plus more. AND! 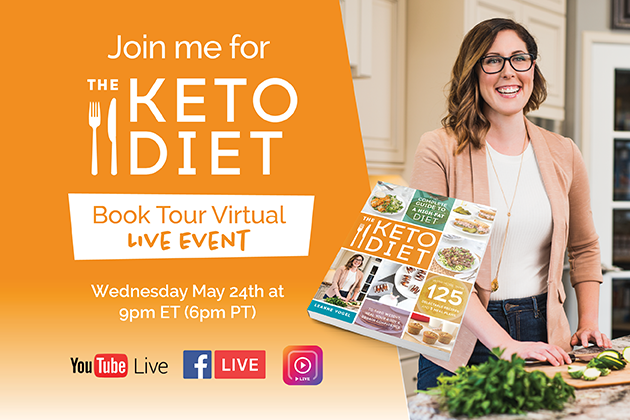 If you missed out or have more questions about your keto diet, I’ll be hosting a LIVE virtual book event with oodles of time to answer your keto questions. The event is taking place on Wednesday May 24th at 9pm ET (6pm PT) on YouTube Live, Facebook Live, and Instagram Live. Mark your calendars! More details on May 24th FREE virtual live event below. Join on YouTube Live by heading to the live stream here. Join on Facebook Live by going to the Healthful Pursuit Facebook page a couple of minutes before the event begins. Scroll down, find the live feed, and click! 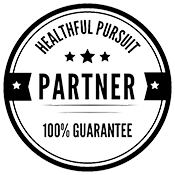 Join on Instagram Live using your phone, go to the Healthful Pursuit Instagram page here. You’ll see a circle on the top left-hand corner. It’ll say “live” across it. Click that, and you’ll enter the live stream. Every time you share a picture from the book (you posing with the book, recipes from it, etc.) on social with #ketodietbook, you’re entered to win a jar of EPIC Provisions cooking oils or Kasandrinos extra-virgin olive oil. Share and you’re instantly entered to win. The giveaway is open from April 11 to June 20. Two winners will be randomly drawn and contacted via the social media channel where the winning draw originated. They will have 24 hours to respond to the contact before another winner is chosen. The giveaway is open to US and Canada residents. If you joined us at one of the tour stops, what was your favorite part of the event?